We only use white composite fillings . We say ' No ' to mercury based Silver amalgam fillings. As with anything in life, nothing lasts forever. Fillings are like tyres on your car - after constant daily use, they will need to be replaced. Here are some good reasons that will signal an alarm for you to get your fillings replaced. Signs of Decay – on an examination of your afflicted area, signs of decay become more visible. Decay can cause further damage if not treated appropriately. As bacteria finds a loophole to enter your oral system, it will eventually increase and multiply at a rapid rate before it can be stopped. Chipping or Cracking – though this may not pose as a serious risk to many, when fillings crack or chip, it is best to get them replaced. The filling may come off altogether and become a choking hazard. Running on a broken down tool is hazardous and when fillings wear off, it is best that they are replaced before they can cause serious damage to your oral health. Leakage – over the time of continuous usage, there might come an instance where the filling leaves a gap within the tooth. This space is where saliva and bacteria can interact freely and cause damage. It is best to respond to leaking fillings early on before they get out of hand. When should I replace my amalgam/silver fillings? Amalgam fillings, also known as mercury fillings used to be one of the most commonly used fillings in the past. 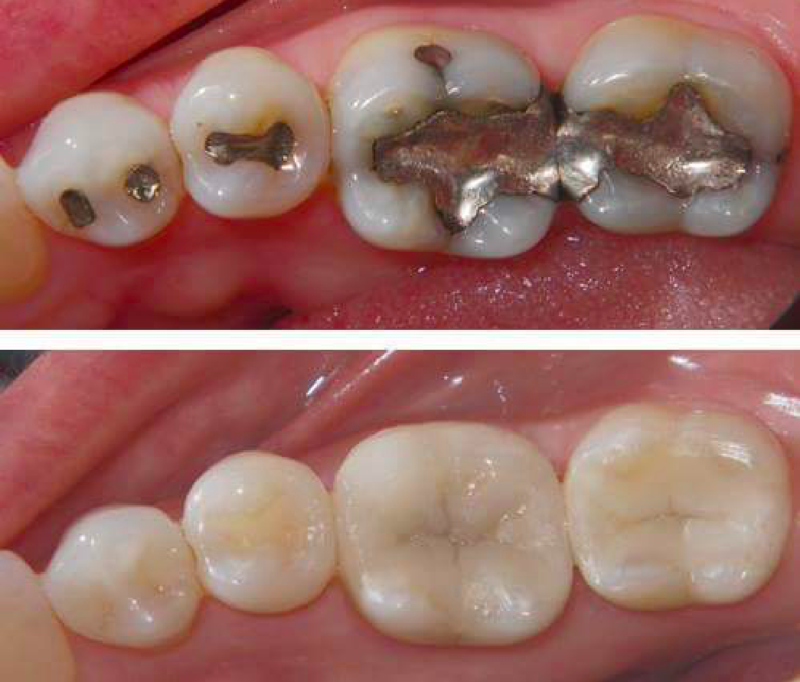 There are many reasons why you should consider replacing your amalgam/silver fillings. Do you have cracks in your filled tooth? The metal used in amalgam fillings corrodes over time causing it to expand and contract and over the years, this can cause fractures in the tooth. A fractured tooth allows food debris, saliva, and bacteria to get in and cause a cavity in a filled tooth. Is there a cavity under your silver filling? Cavities can hide under fillings and usually go undetected because they are opaque to x-rays. At Capalaba Park Dental, we use x-rays to help diagnose the condition of the tooth, but we also use an intra-oral camera that helps us get a better picture of what exactly is going on inside. Just because a tooth is filled doesn’t mean it is cavity free. Is your filling leaking? As amalgam fillings break down, they begin to pull away from the tooth. When there is no seal, this is when the fillings begin to leak. This is a problem as this allows food, saliva, and bacteria to enter your tooth causing damage to the tooth in the form of decay. It also causes less strength in the tooth and may make it more susceptible to fracturing.